From playgrounds to public parks, pedestrians stroll over these old burial grounds daily ... unaware of what lies beneath. It’s where you buy your groceries and where your kids go to play. But hidden deep beneath the ground are centuries of secrets. Across the world, construction workers and archeologists are digging into the soil and finding pockets of bones, revealing a past that will no longer stay buried. Unearth nine lost and forgotten graveyards below. What New Yorkers know today as a prime hotspot for greenmarkets and people-watching was once a hotbed for disease-infested bodies. Originally a potter’s field in 1797, the ground beneath Washington Square Park was used to bury those who died of yellow fever. 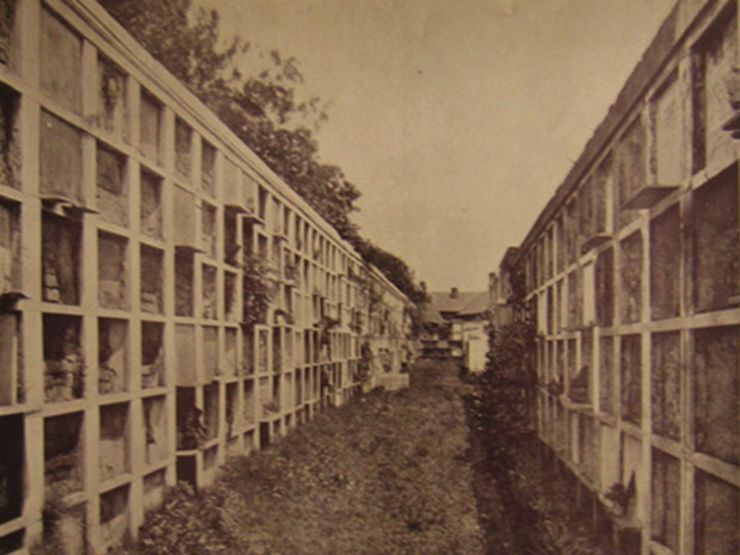 In 1827, the space underwent a makeover, with more than 20,000 putrefying bodies left to nourish the greenery above. 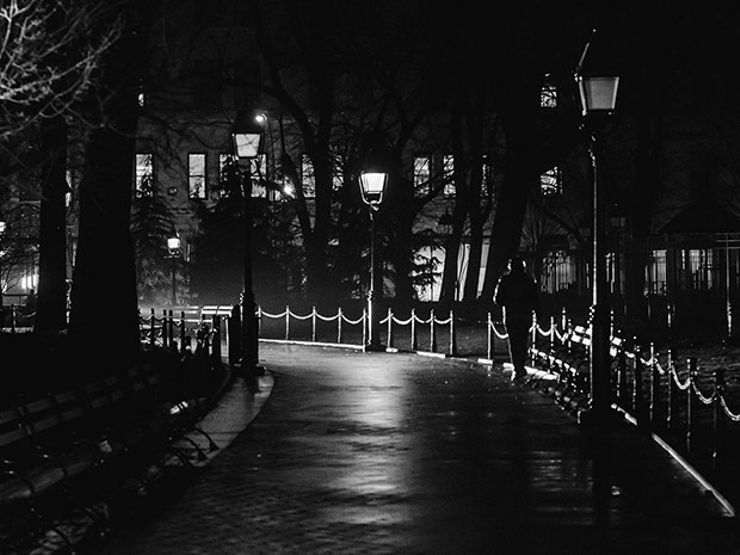 Nineteenth century lore has it that a blue mist emitted by the dead would hover over the park at night. And the park still holds secrets. In November of 2015, city workers attempting to dig up an old water main instead unearthed a 19th century burial vault—that led to yet another crypt. In 1971, construction workers broke ground in New Orleans to build the Superdome and soon found bones—lots of them. Turns out they uncovered the remains of the Girod Street Cemetery, an old graveyard used to bury those who died of yellow fever and cholera. While the site was deconsecrated in 1957 and many of its eternal residents transported to new digs, not every body made the trip: Those souls not spoken for were left behind. The cemetery is technically located adjacent to the stadium under the parking lot. 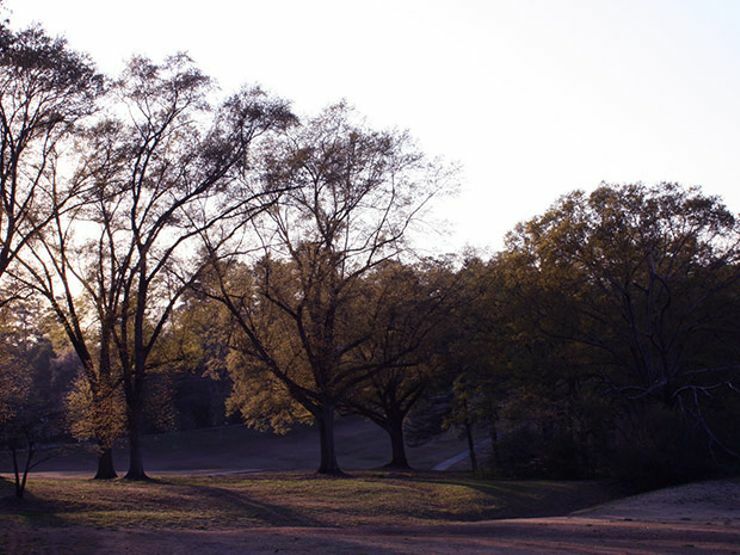 Titleist enthusiasts teeing off on the fifth green at Atlanta’s North Fulton Golf Course may have the hairs on the back of their necks tee off on their own, thanks to the 84 unmarked graves in nearby Chastain Park. It’s believed course builders knew of the graveyard’s existence when they started digging back in the 1930s, which was possibly an old burial ground for a former almshouse. Why they decided to build over it remains a mystery. Either way, play through. 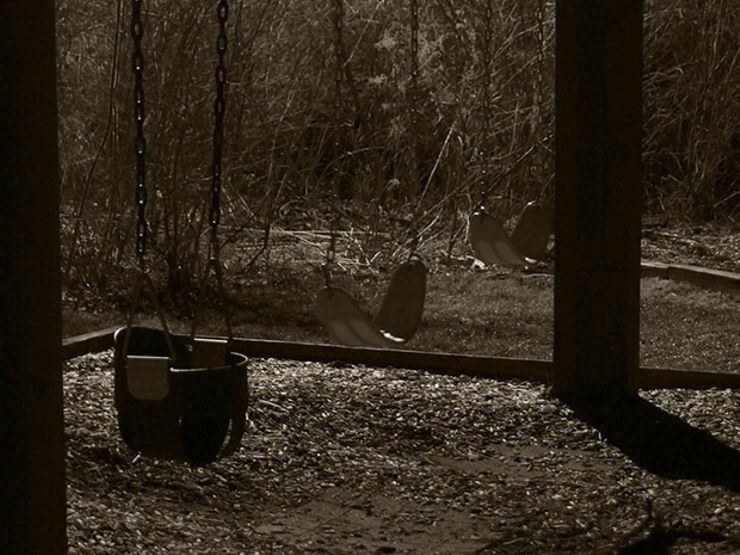 You’ll never look at a set of swings the same way again after learning about the macabre truth lurking beneath this Philly playground. In use from 1810 to 1864, the Bethel Burying Ground is where close to 5,000 African Americans were left to rest in peace. Abandoned, then used as a dump, the sacred ground today is home to a child’s play land, as well as a full-size tennis court. 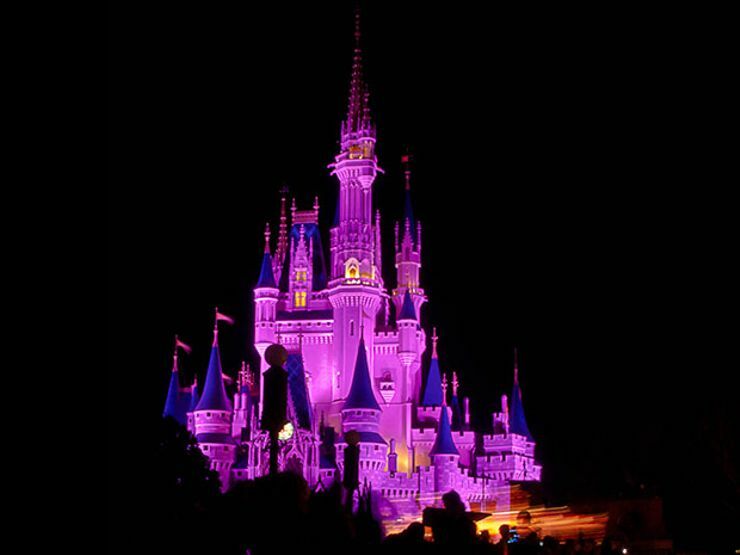 Set to open in 2016, Disney’s first foray into mainland China may need to update its tagline from the happiest place on Earth to the creepiest. 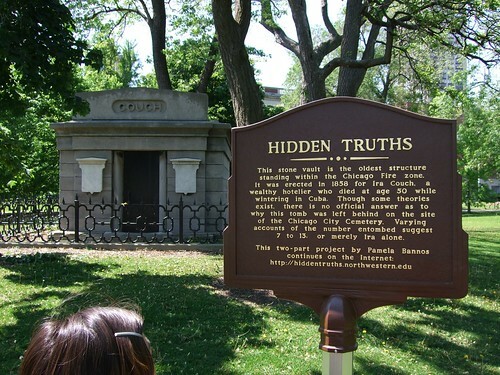 According to Mental Floss, hundreds of burial plots were unearthed during the site’s construction. The tombs had to be relocated, with families of the deceased receiving 300 Yuan for the disturbance. That’s about $47. 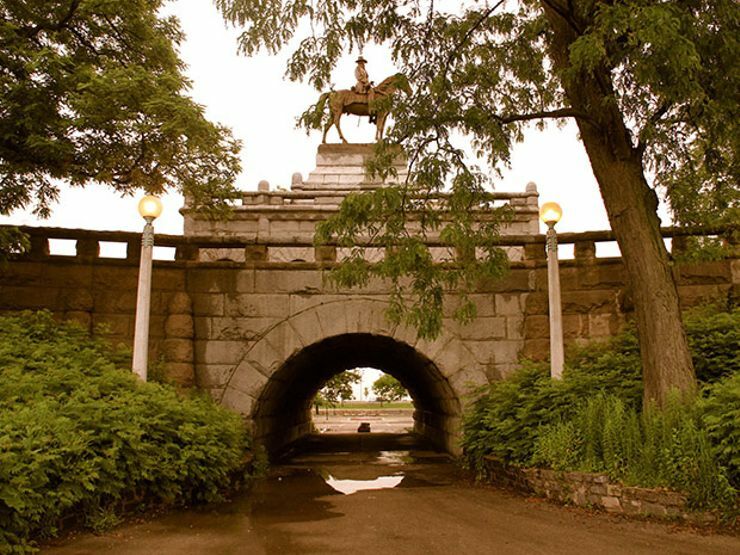 Now home to a jogger’s favorite trail and a tourist’s must-visit zoo, Lincoln Park has a not-so-secret secret: There were thousands of bodies once buried below ground. Used as a graveyard for masses who died from cholera, some 80 bodies were unearthed in 1998 when construction commenced on Lincoln Park’s parking garage. Though most of these bodies have since been moved, one tomb remains: the mausoleum of innkeeper Ira Couch. Find it behind the Chicago History Museum. 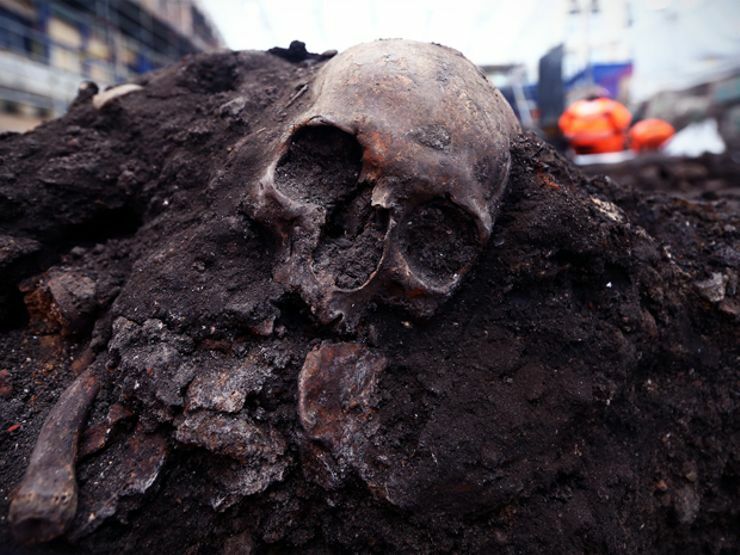 During recent construction of the Liverpool Street Station, workers dug into a 300-year-old graveyard now believed to be the Bedlam Burial Ground, a poor man’s graveyard and the resting place of more than 20,000 skeletons. The macabre discovery was nothing compared to the violent tales told by the bodies themselves: Among the strange findings, archeologists unearthed a row of skulls, a corpse with its skull strategically placed between its legs, and a skull with a gash in its crown where a hefty blade had pierced it. This bustling hub lures locals and tourists alike in old Paree, but it’s actually a bright facade covering up a trés sombre piece of history: the Cimetière des Innocents. 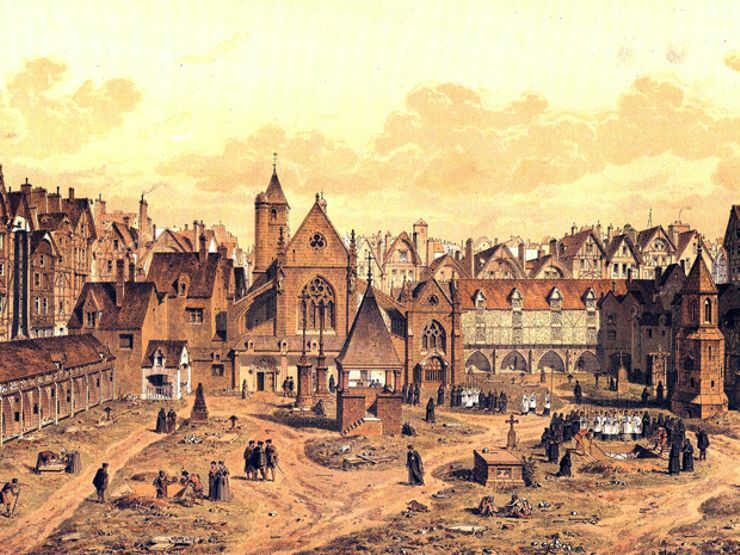 Used from the Middle Ages to the late 18th century, this infamous burial ground contained massive pits that could house up to 1,500 bodies. The pits remained open until they reached capacity, which made for an odor stinkier than the city’s beloved cheeses—not to mention a serious threat to public health. Beginning in 1786, the bodies were exhumed and moved to the Catacombs, though some of the corpses had decomposed so thoroughly that there was little left to move. According to Scientific American, the bodies that had been reduced to globs of fat were actually transformed into candles and soap. 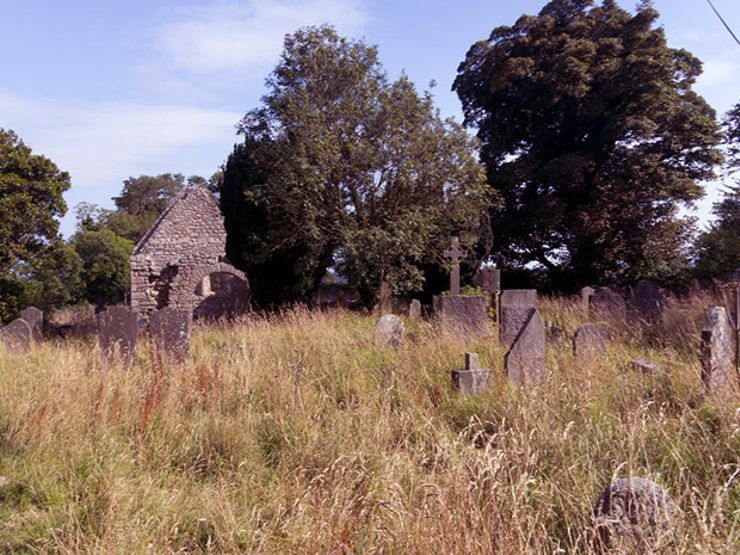 Cillînî, or the unconsecrated burial grounds where unbaptized children, along with illegitimate babies and their mothers, were left to mingle in limbo, can be found scattered across Northern Ireland. A cillîn burial goes as such: No mass, no ceremony, just a male family member laying the dead child to rest, the mother not allowed to hold her child, and other members of the family discouraged to participate. Today, archaeologists and humanitarians are working to ensure these lost souls are not forgotten.